I’ve spent the last week touring through the country of Israel. Visiting the popular cities of Jerusalem and Tel Aviv, touring the old port town of Akko (Acre), floating in the Dead Sea and a whole lot more. Not only did I capture the entire trip with photos and videos I also highlighted many of my favourite moments on Instagram. Make sure you are following me on instagram. To see more posts highlighting my travels through instagram check out these posts: Dubrovnik, Maui, Jordan, Costa Rica, South Africa and Indonesia. 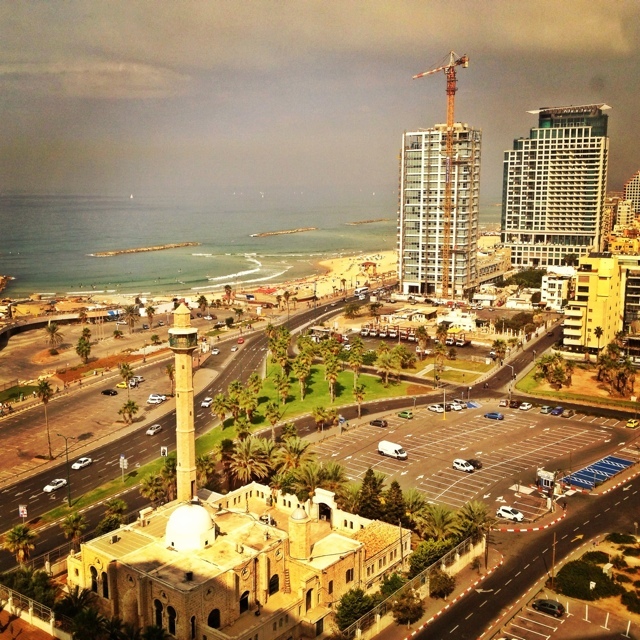 The view of Tel Aviv and the Mediterranean Sea from my window on the 19th floor of the David Intercontinental Hotel. As you can see the city has a big mix of religion, modernization and beach bums. 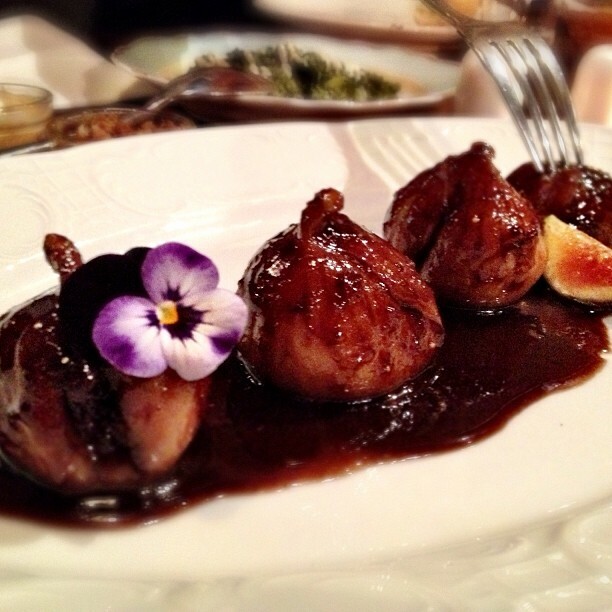 Chicken stuffed figs in tamarind sauce. 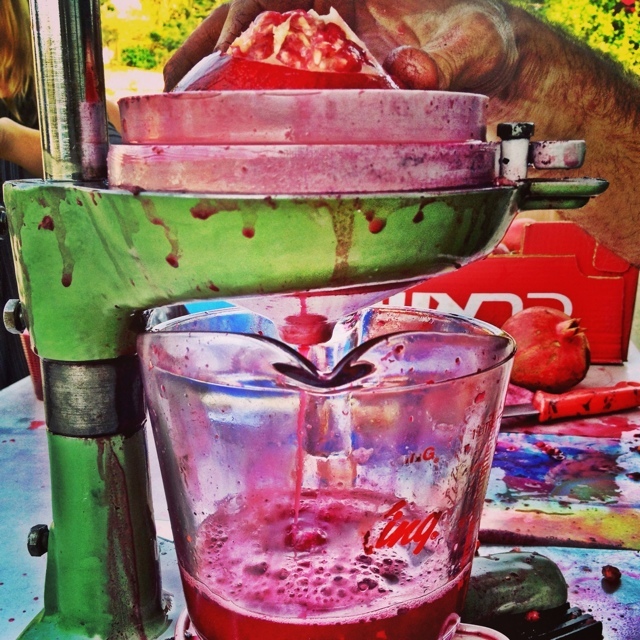 While touring around Israel we ate like kings…. or should I say Gods? We had a multi-course meal at a famous restaurant in Jerusalem called The Eucalyptus. 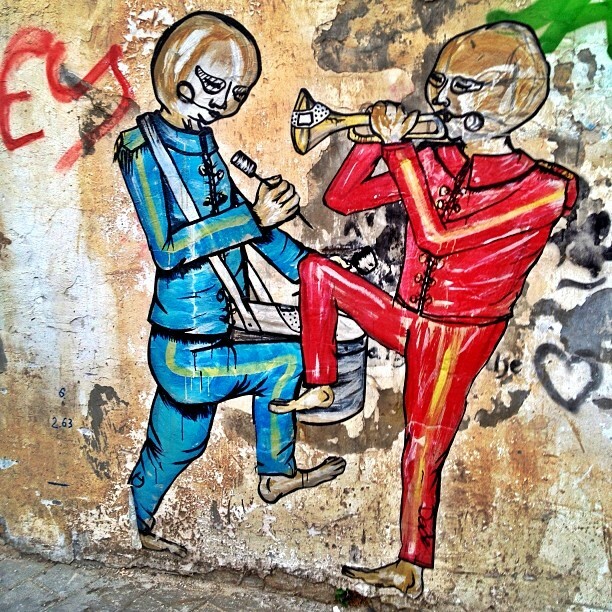 Everywhere we went in Tel Aviv there was pretty and crazy Graffiti. 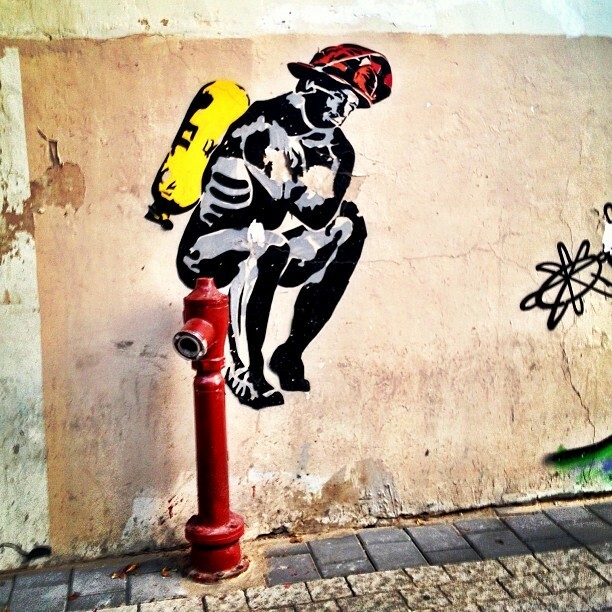 This one of a Rodin Thinker fireman sitting on a fire hydrant was taken in the artsy neighbourhood of Neve Tzedek. 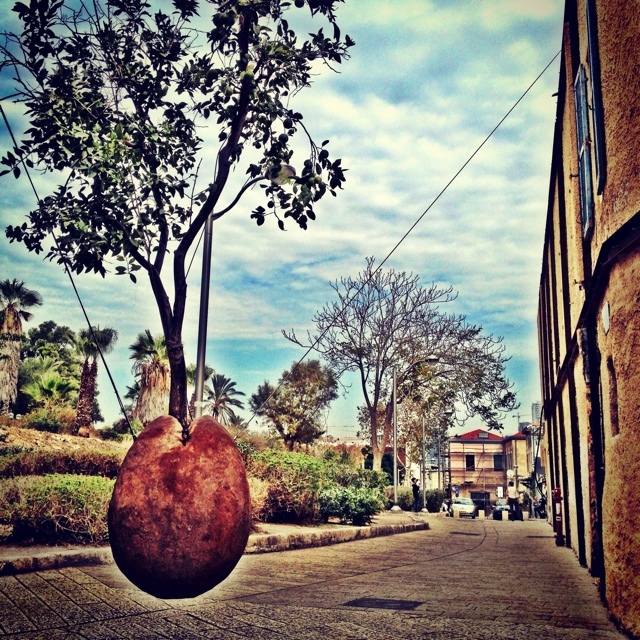 A floating orange tree in Tel Aviv, Israel by by the sculptor Ran Morin. 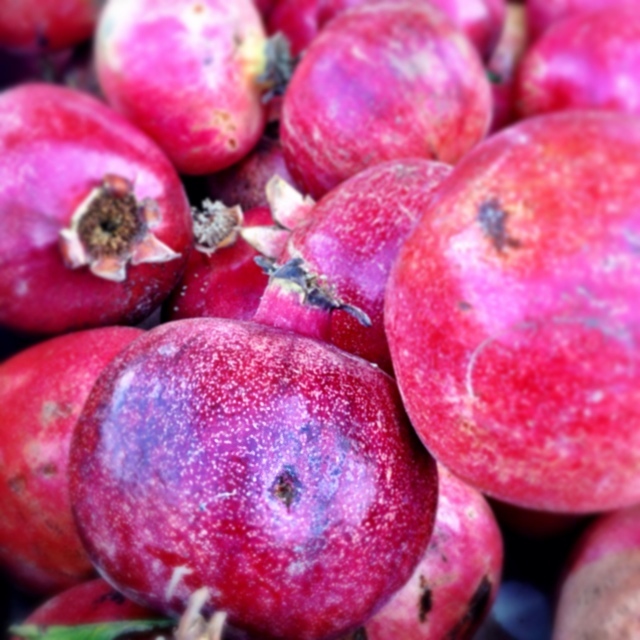 We were in Israel during Pomegranate season and at every shop and on every corner you could find guys fresh squeezing the delicious fruit. So tasty! Street art / Graffiti by the famous street artist Dede in Tel Aviv, Israel. 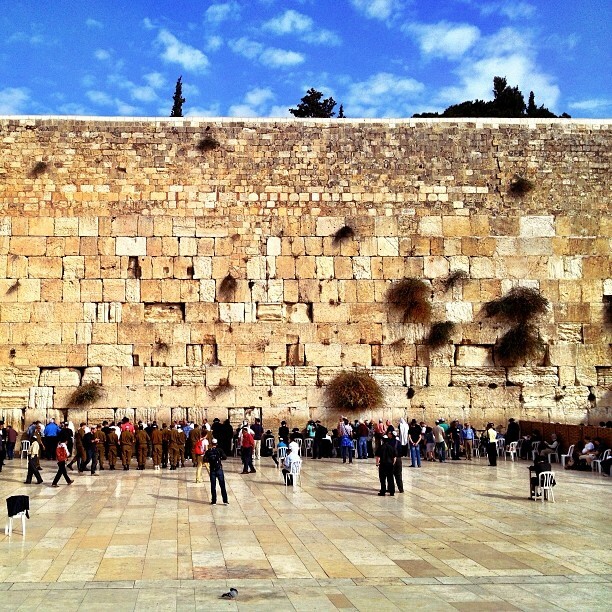 Jewish men pray at the Western wall in the old part of Jerusalem, Israel. Fresh Kanafeh, a favorite dessert of middle eastern countries was served to has at the popular Uri Buri Fish and Seafood restaurant in the small port city of Akko (Acre), Israel. Pomegranates the size of my head in Israel. They were very sweet and not sour like the ones I am use to in North America. 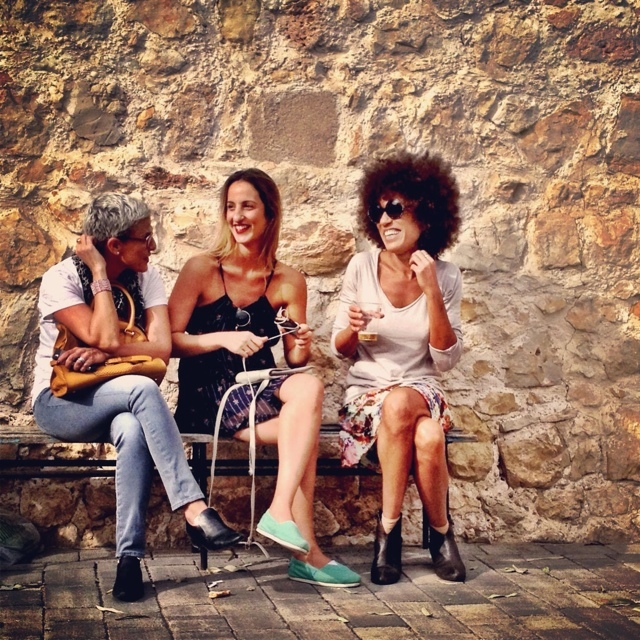 Three women hang out on a bench at a popular organic market in Tel Aviv, Israel called HaTahana. 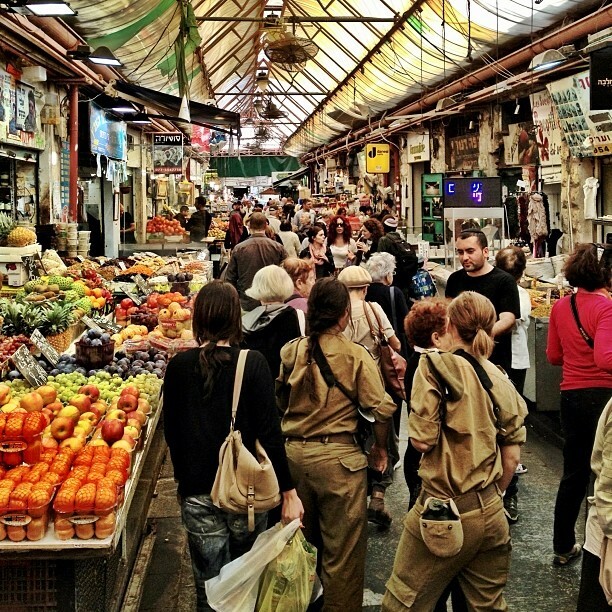 Locals, tourists and young girls in the Israeli Military carrying their machine guns walk through the Machne Yehuda market in Jerusalem, Israel. Israel also had a lot of popular Gelato places, some made with soy milk so that they are considered kosher. 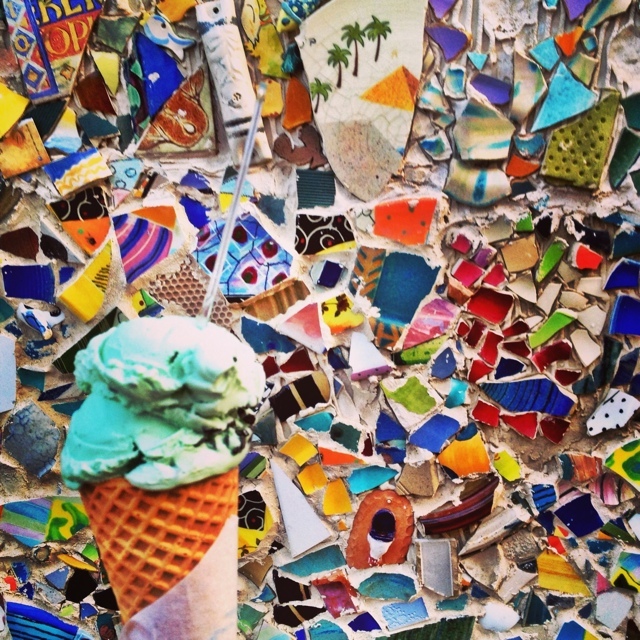 Here is a delicious mint chocolate chip ice cream I ate in Tel Aviv. One of the many mountains that make up the city of Jerusalem, Israel. 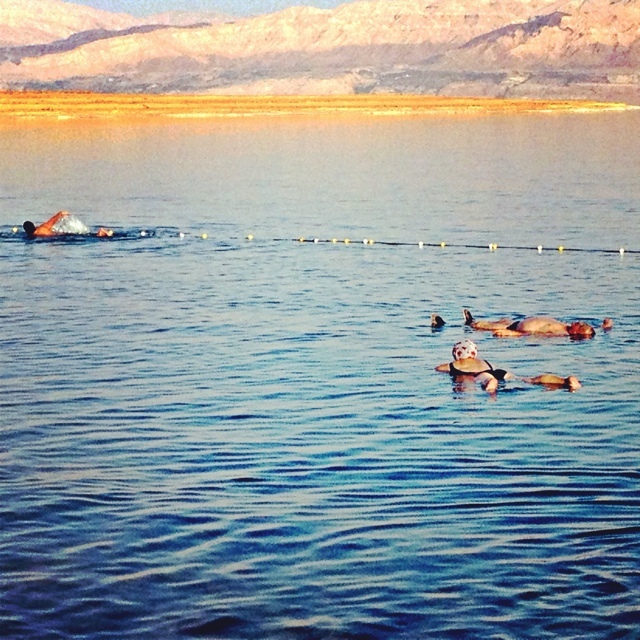 People float in the Dead Sea in Israel. 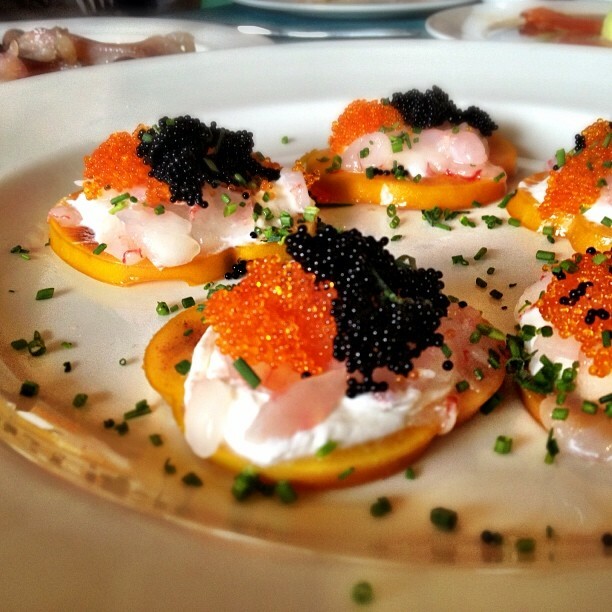 At the popular Uri Buri Fish and Seafood restaurant in the port city Akko (Acre), Israel we ate red and black caviar on top of a persimmon with mascarpone and raw fish. 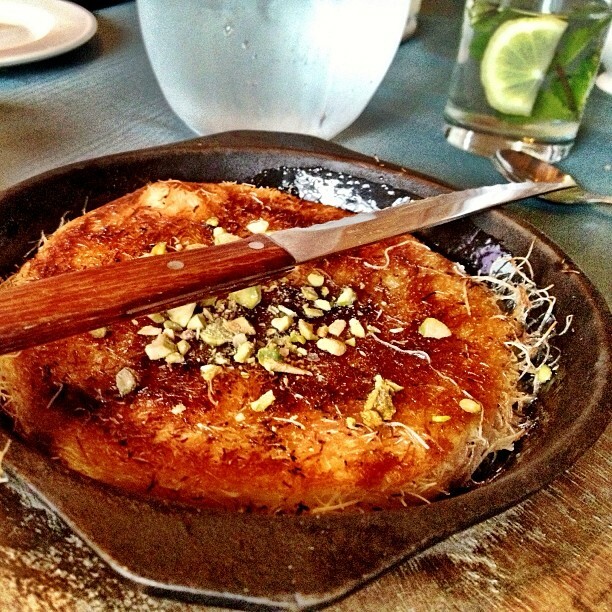 A favorite dessert of the people of Israel is called Halva made of sesame paste and sugar. 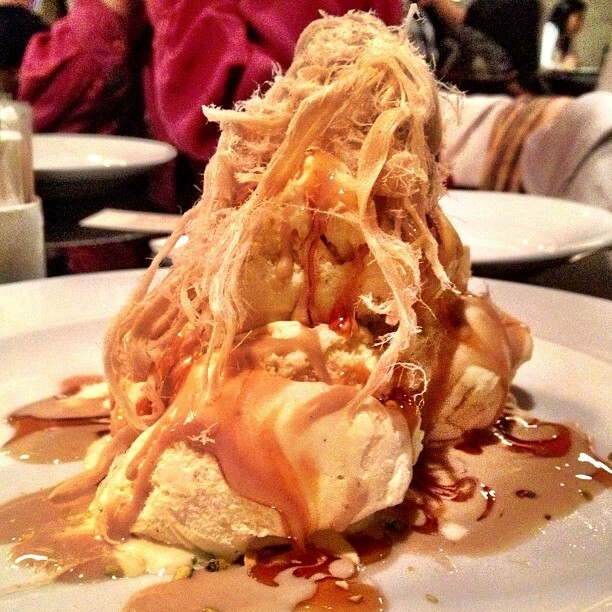 Here it is shredded and served on top of kosher vanilla soy ice cream. Sunset at the Dead Sea in Israel. 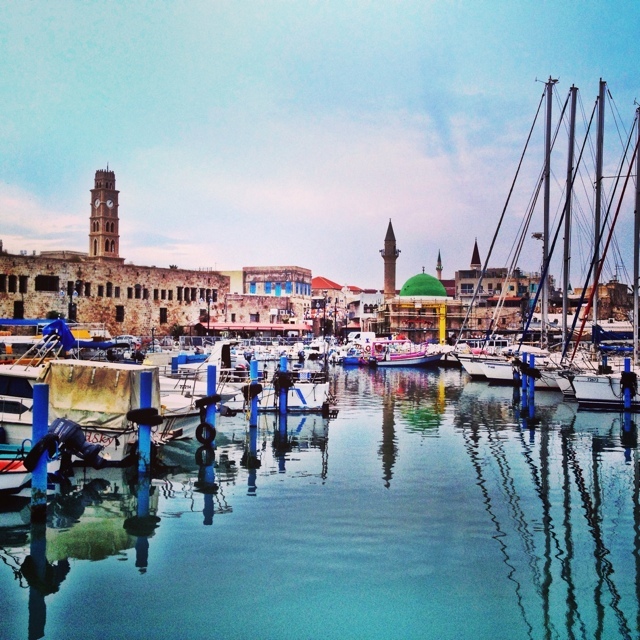 The Old Port in the seaside town of Akko (Acre), Israel. 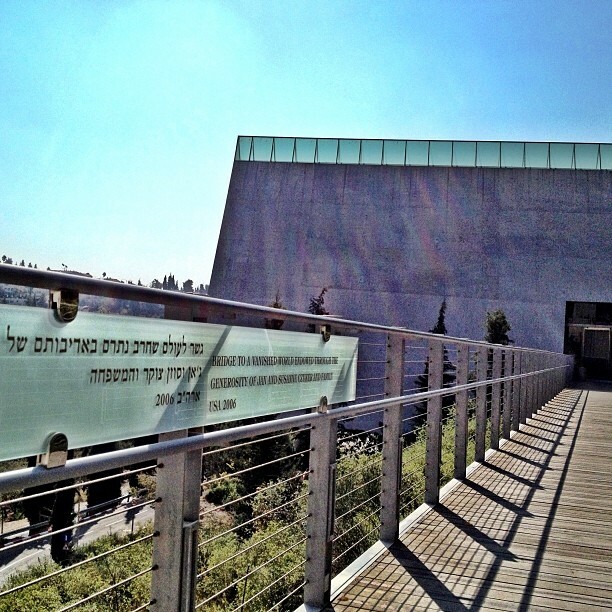 The building that holds the Holocaust History Museum at the Yad Vashem Museum in Jerusalem, Israel. Finally the man himself. Uri Buri. Owner and Chef at the previously mention Uri Buri Fish and Seafood Restaurant. He is also a hotelier and owns another restaurant and a gelato shop. 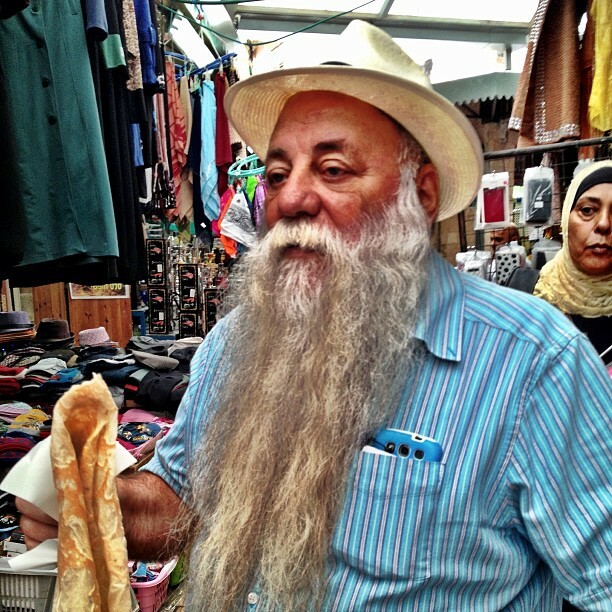 You must visit him when visiting Akko (Acre), Israel. I hope you enjoyed my short tour through Israel. Which photo was your favourite? Leave a comment below. Thanks to the Tourism board of Israel for having me on this trip. All opinions and views expressed are my own. Great site. I stumbled upon it by mistake and I love it. Keep up the great work. Would love to use your photo of Dede’s graffiti for a program. What’s your policy on other people using your photos? Very nice post, wonderful, evocative pictures! 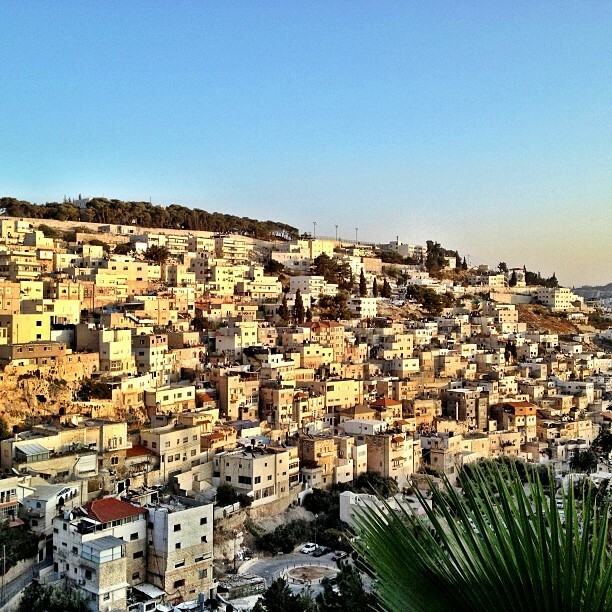 Israel is on our list; your article and photo’s make us want to go even more. 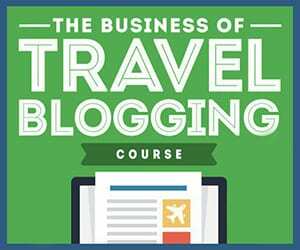 Hope you will take a moment to stop by newjetsetters.com when you have a moment. Yummy to food, to people and to the country! I thought I had commented on this post before but apparently not. I really love it though. Makes me nostalgic for Israel in a big way. You have beautifully captured a very beautiful place. nice pics! i’m hoping to visit israel sometime next year. 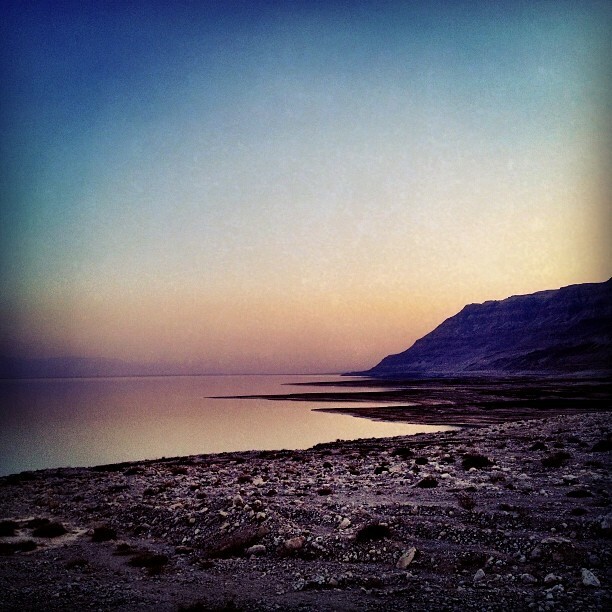 the dead sea sunset pic is my fave! The ice-cream picture is hilarious! So vibrant and happy! I´ve always wondered about floating in the Dead Sea — everywhere you see the pictures of people reading newspapers on their backs, but with the amount of salt in the water it must be quite impossible to stay there for more than say fifteen minutes. Must burn your skin, right? Or am I wrong here? Stunning photos – makes me really want to go. Just curious – when you get your passport stamped to get in do other countries ban you from entering? Or is that a myth? Love Uri Burk and The Effendi. Your photos are not to be missed as they capture the essence of an amazingly wonderful country. Lovely photos. Just a small clarification though: There’s nothing un-kosher about milk products, except you can’t eat them with meat. Hence you wouldn’t be served dairy ice cream at a kosher restaurant that serves meat. I just love that candid photo of the three girls. That girl’s hair is amazeballs.